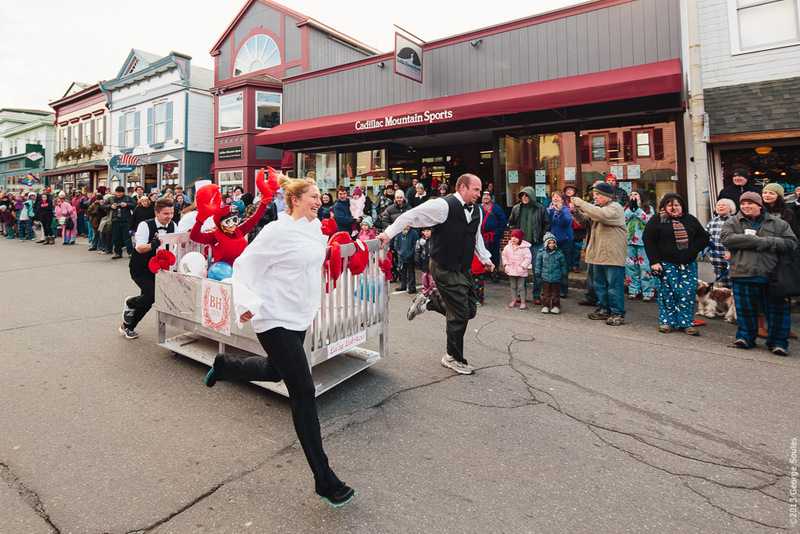 The 6th annual Bed Races and Early Bird Pajama Sale were held yesterday in Bar Harbor. 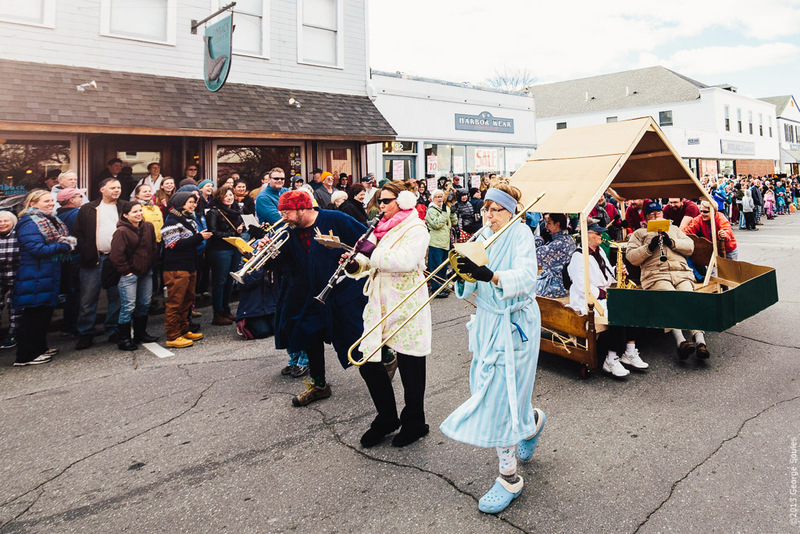 Janice and I (she in chartreuse pajamas and bath robe) attended along with over one thousand other people on a chilly November morning with temps in the low forties. 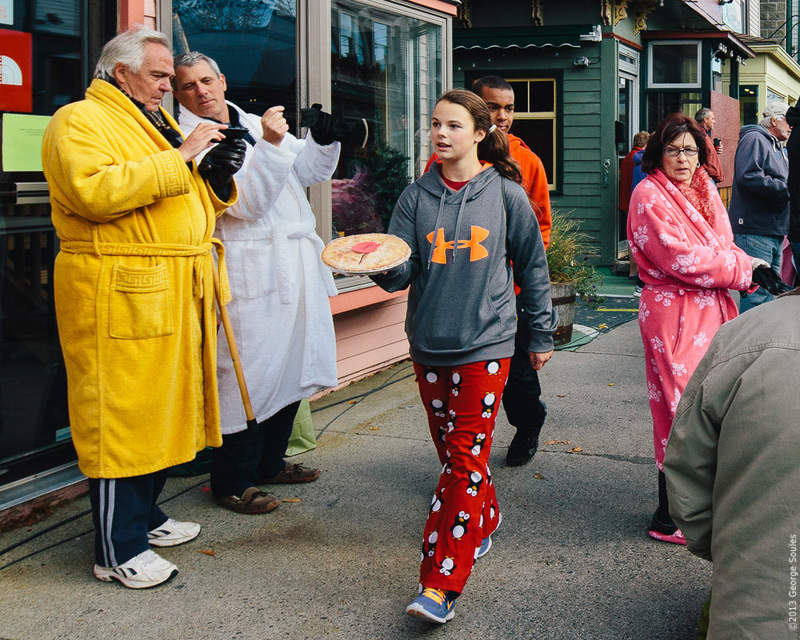 The Pajama Sale event started at 6 AM with shops offering discounts to everyone, but an extra 5% off for those wearing their jammies. 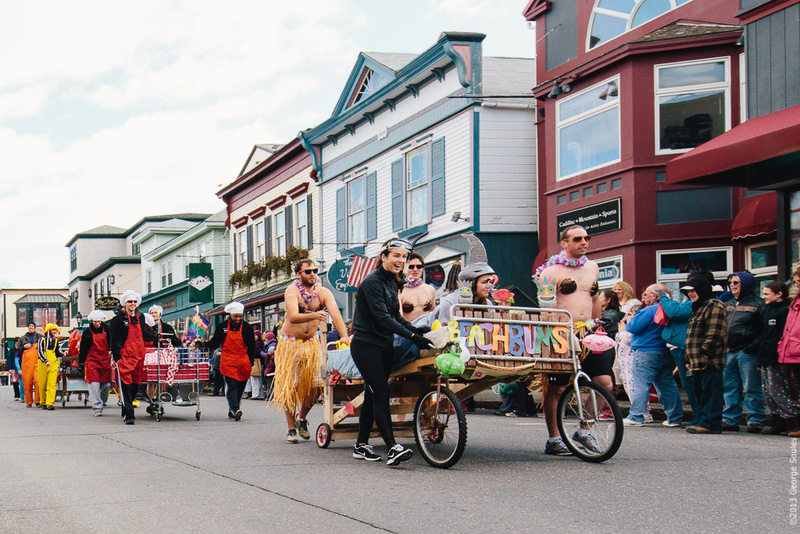 The stores were packed with shoppers and checkout lines were long. 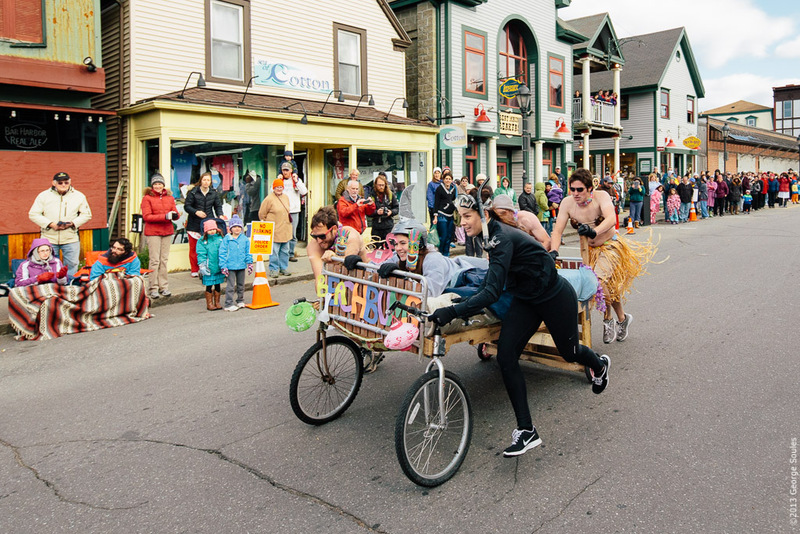 At first it seemed pretty weird seeing people walking on Main Street dressed in clothes you'd only expect to see at home, but after a while it just seemed "normal" at least for Maine. 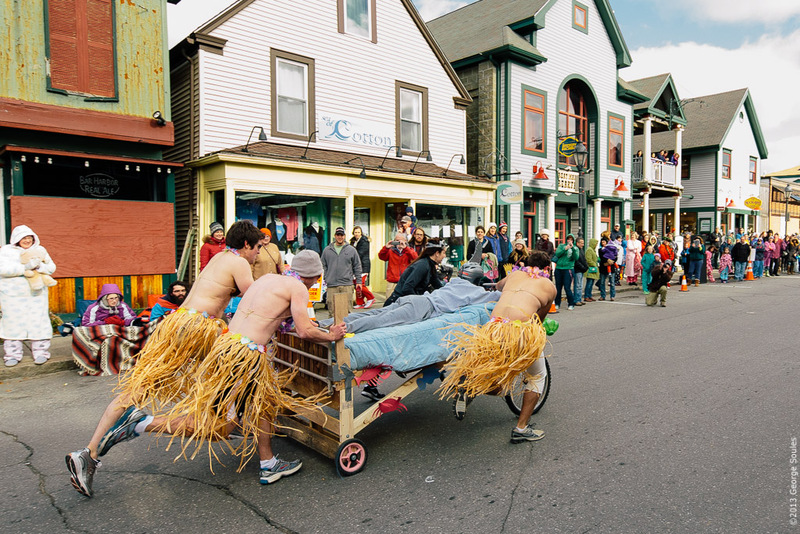 The race event started at 10 AM with the ten teams parading down Cottage Street. 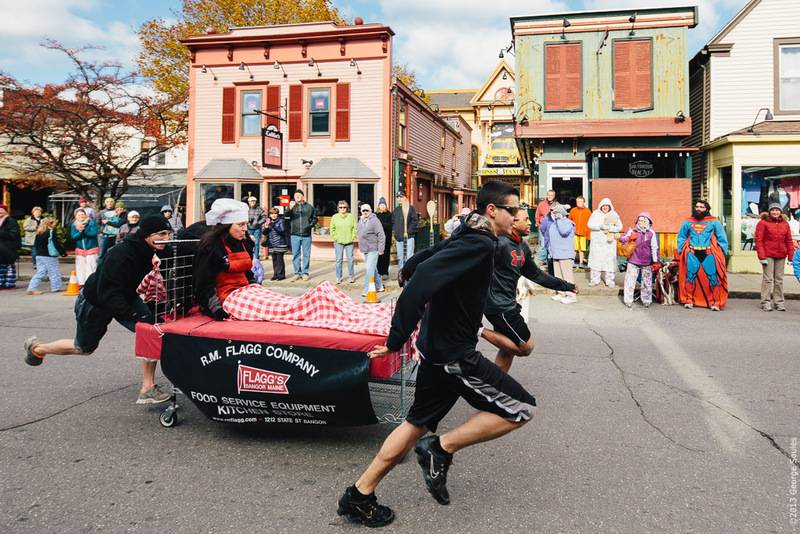 Each team had five members and one has to stay on the bed during the race. 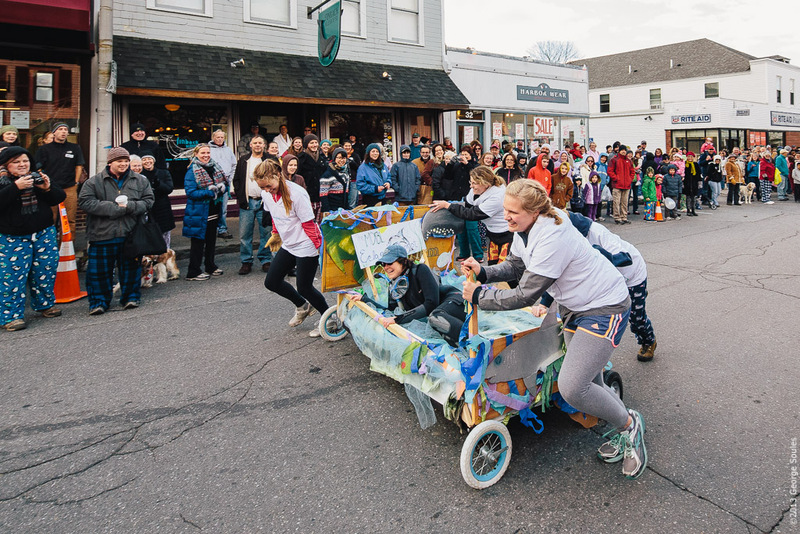 After the Band Team played the national anthem, the races began from the start/finish line at the Criterion Theater. 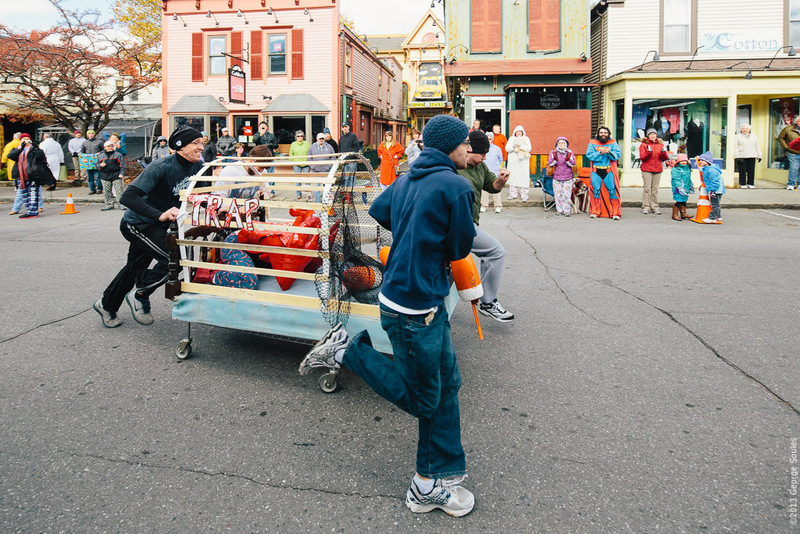 Each team had to propel their bed to the end of the street, go around an orange cone, and then speed back to the start. 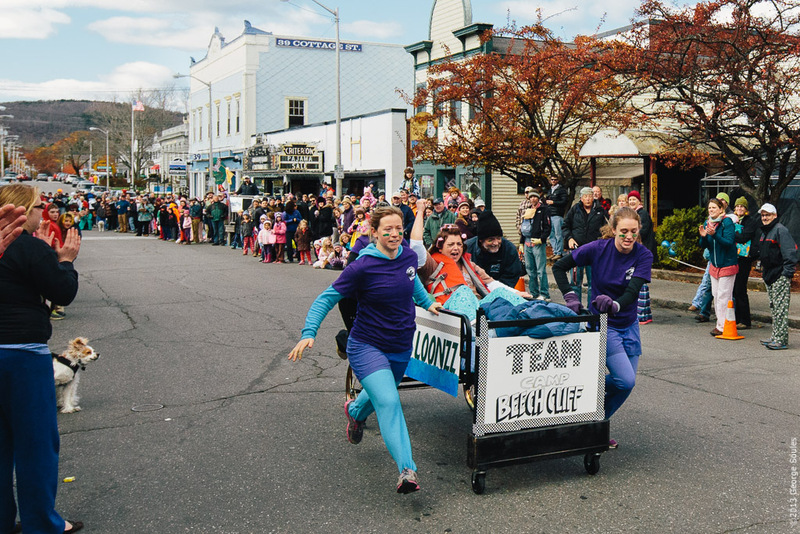 The four teams with the best times then raced again in a final heat. But enough words. The pictures do a better job of telling the store of a crazy and fun morning.